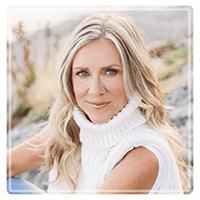 North Vancouver Therapist: Heather Bach - Therapist V7N 1P1. Session Fees: Our fees range from $150-$185 per 50 minute session. Currently we have a wait list for our sliding scale rates. Practitioners at the clinic use a number of evidence-based tools and techniques to bring their clients closer to their goals. Bach Counselling Group uses evidence -based methods including cognitive behavioral therapy, eye movement desensitization reprocessing (EMDR), emotionally focused therapy (EFT), dialetical behavioural therapy (DBT), psychodynamic, family systems, solution-focused therapy and mindfulness practices. We provide highly skilled counselling offering quality, goal-oriented services that assist you in reaching your personal goals. You can be assured of a safe, confidential and supportive environment to address your concerns with a skilled and professional counsellor. Whether you bring a struggle with depression, anxiety, relationship issues, ADHD, eating disorders, post trauma and or grief, our counsellor will assess the matter with you and strategize the most effective course to your goals. In a warm and supportive setting, they will bring the most up to date tools and skills to facilitate your growth and wellness. All concerns discussed in the course of therapy are confidential with the exception described below. Bach Counselling Group abides by the ethical principles of confidentiality as set out by the Canadian Psychological Association. CALL US: 604 904-0898 Our offices are in both Vancouver and the North Shore, centrally located on bus routes. Our services are often reimbursed by insurance providers so be certain to check with your coverage. Call us now.